There are places you go to stretch yourself, and places you go to restore yourself. And occasionally, if you're fortunate, you land in a place that can be both. For me, it's Kiawah Island, SC. Kiawah is where I simultaneously get away... and come home. It's a beach, a nature preserve, a resort, and for me, a time capsule of memories and milestones. 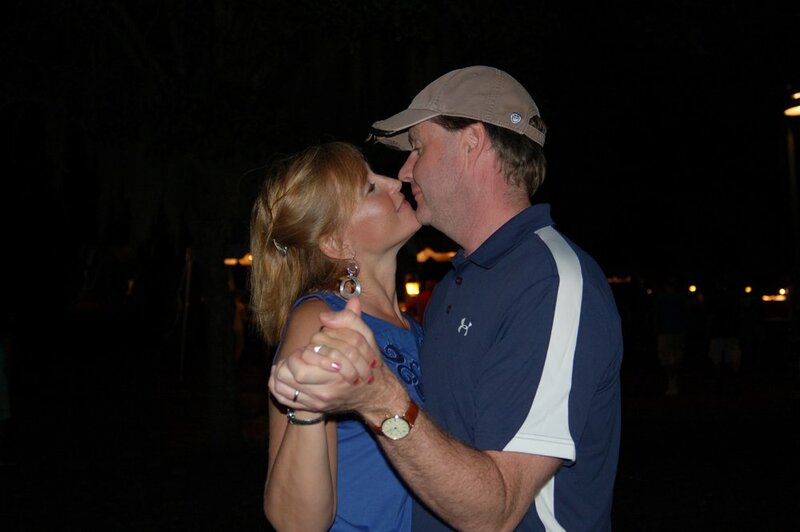 We first discovered Kiawah over 2 decades ago. At the time, it was a little-known gem of bike trails, tawny marshland, and a breathtakingly wide beach. There were marvelous mansions that somehow managed to blend into the coastal landscape, lush greenery, briny ocean breezes and magnificent sunsets that melted into velvet night skies strewn with a million stars. A deep inhale of that ocean air could cleanse the weariest, most stressed of souls. 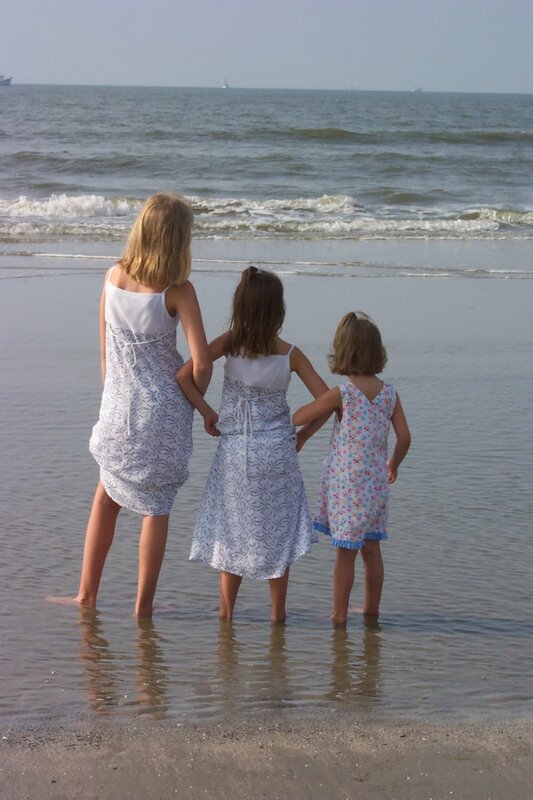 The magic of Kiawah is that is is still those things, today. We've returned to this special place every year, for as long as we've been a family. And, each year, we've returned a bit different. 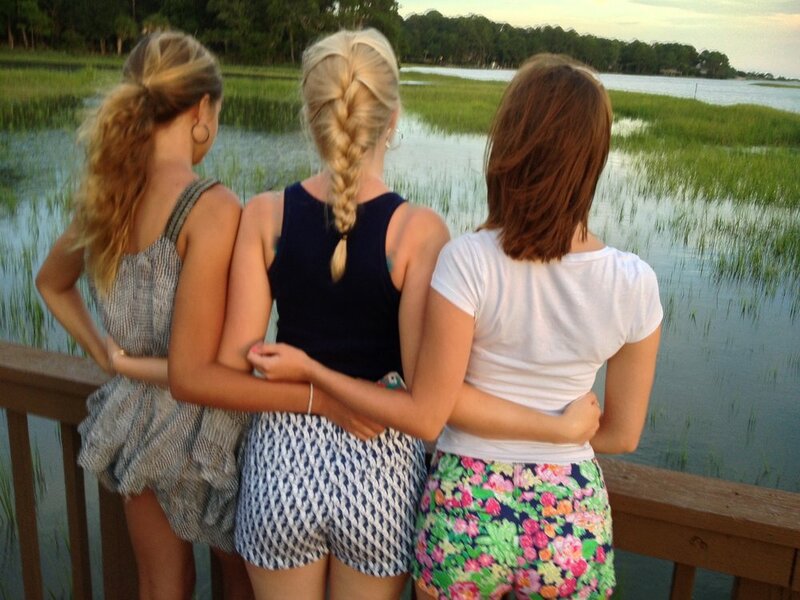 But Kiawah always remains the same, and meets us right where we are. The steady rhythm of memories wash over me like waves on the beach. 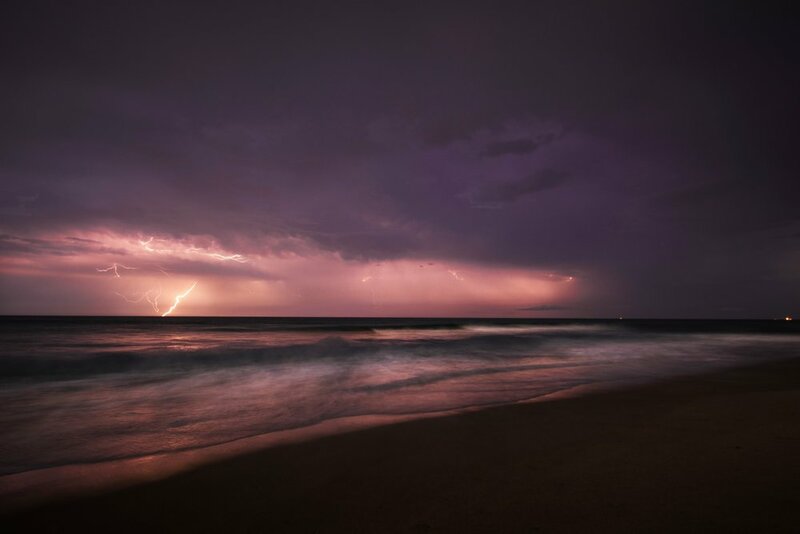 The sound of my girls' laughter mixed with rolling surf during the day, followed by the crackle of awesome thunderstorms electrifying the summer night sky. When they were small, the girls learned how to to ride their bikes on the beach - and it's really the perfect spot to conduct this childhood rite of passage because the firm, smooth sand is easy to bike on, and forgiving when wobbly little legs take an inevitable spill. 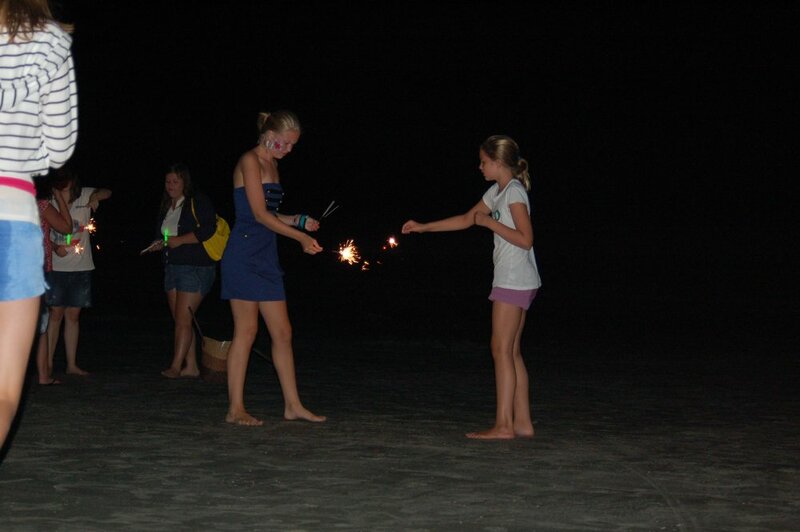 Kiawah is also where the girls learned to shuck oysters, body surf, and witness their very first falling star. These moments knit us together as a family, and fed our souls. The reason we were able to enjoy Kiawah for over 2 decades was my wonderful in-laws, who time and again, offered us their cozy Kiawah villa to simply enjoy the gift of being a family. I guess if I could write a love letter to a place, this is it. Kiawah has filled my memories and my heart with so many unforgettable moments because it has been the place where we could slow down and celebrate life together...a rare thing in a world where careers, school schedules, friends, social media, home improvement projects and a million other commitments can sometimes crowd out the intimacy of noticing a breeze brush your skin, or catching the delight in your child's eyes when she sculpts a "castle" from an abundance of wet sand, seashells, and imagination. David's mom and dad sold their villa this year and though we'll continue to visit Kiawah, I imagine future family visits will be fewer, as the girls launch their adult lives. But you know what? That's okay. Like the sandcastles, the moments are temporal, but the joy they've brought us will last a lifetime. Fawn outside our villa door. Wildlife abounds here! Consistent with its resort vibe, dining out at Kiawah can be pricey. If you're renting a villa, you can save money by buying groceries at the nearby Harris Teeter at Freshfields Village - a charming and well-equipped enclave of shops just outside the Kiawah Island gate. In addition to groceries, there's a Starbucks inside HT, and an in-store buffet area where you can get family staples to-go: sub sandwiches and salads, homemade soups, pizza by the slice. All are great choices for a beach picnic! Another tasty and reasonable option for family-friendly pizza is Lucianos (http://www.kiawahpizza.com), just outside the Kiawah gate, at the Bohicket Marina. Both Freshfields Village and Kiawah Island Resort have restaurants aplenty, but they tend to be pricey and possibly a bit fancy if you have young kids. The Town Center Market at East Beach https://kiawahresort.com/dining/the-market-at-town-center/ offers made-to-order breakfasts and sandwiches, home-made soups (Katie is a longtime fan of the she-crab) , a nice wine selection, and essential groceries. You can take your haul back to you villa, or eat at the market - it offers both indoor and outdoor seating. During the summer months, you can dine al fresco by the Town Center Market lagoon and look for the alligators who reside at Kiawah year-round. Whether you see one or not, you'll be amazed and the masses of butterflies that congregate around the flower plantings here -- a source of winged delight for anyone who's young or young-at-heart! 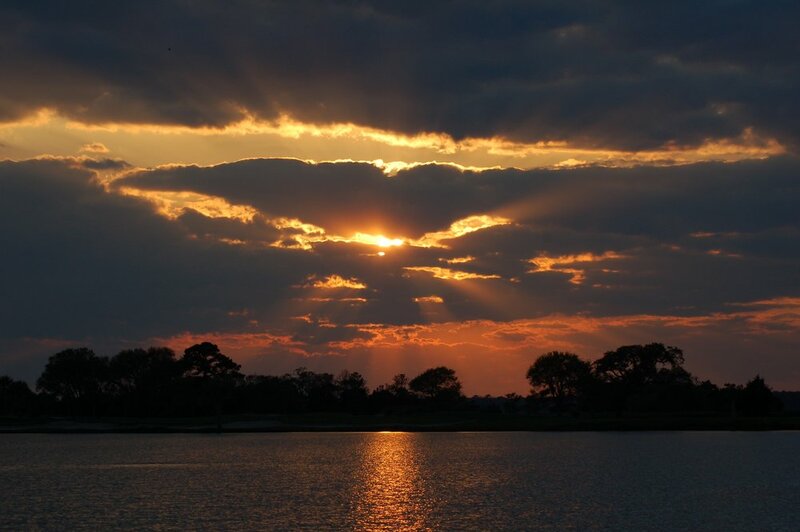 Kiawah is a year-round destination, with a beauty that shape-shifts to match each season. Weather-wise, my favorite time is April (especially if Easter falls then), but most of our visits have been during summer vacation, when it's hot (90's+) and sultry. Thankfully, the ocean means there's usually a breeze and this is the height of the season, so there's lots to do. Check out the kids' camps ("Kamp Kiawah") during the day, and Wednesday evenings at Night Heron Park for family ice cream socials, karaoke and up-close-and-personal encounters with wildlife, led by Kiawah's staff of nature experts. Bring your camera, bug spray, and prepare to make memories! Nothing beats mother-daughter bonding with sand between your toes! The busiest week I've found is the July 4th holiday - there's lots to do (including fireworks on the beach), but it's definitely crowded compared to other weeks throughout the year. If you only have a week, decide how much it matters to you to have "breathing room". The 30 miles of bike paths and 10 miles of bike-friendly beach will get uncharacteristically full that week. I've never seen Kiawah mobbed like other beaches, but my philosophy during our getaways has always been "why share the magic with more folks than you have to?" It abounds here. First and foremost, Kiawah is a nature preserve where you could see silver dolphin glimmer in the surf, majestic white herons, pelicans, sea turtles, and if your really lucky, maybe a bobcat lazing in a treetop as we did one Spring many years ago. The island has 30 miles of bike trails to explore, and at low tide, the beach is perfect for biking too; the sand is hard packed, smooth and broad. Either bring your own bikes, or rent them through Kiawah or one of the many off-island bike rental services that will deliver your bike to your doorstep. We've used: http://www.islandbikeandsurf.com/bike-rentals.php 843-768-1158 Bikes are absolutely the best way to see the island! Currently, the only hotel on the island is the Sanctuary Resort & Spa - elegant and expensive. If, like us, you prefer a little more elbow room and your own kitchen, Kiawah has an abundance of villas to rent, either through the resort itself, or through Air bnb. If you rent through the resort, you'll have access to the swimming pools. If you rent through Air bnb (https://www.airbnb.com) you'll have to forego the pools and head straight for the ocean (which is why you came here in the first place!) Either way, the high season is June-September and things do book up. Yep - there are lots of them. And while they're not exactly cuddly, they're not aggressive, either. Though we've gone an entire vacation week without seeing any, your chances are pretty good of catching a gator gliding through a lagoon or sunning on the bank. Gators only like fresh water, so you are unlikely to see them in the brackish marsh waters (if you go kayaking) and you won't ever see one on the beach! If you bring your pet, keep them leashed at all times. And, keep your distance (and of course tell your kids to do the same!) The gators are actually pretty fun to look at, and really not interested in humans at all, as long as you give them their distance, especially during the Spring nesting season.